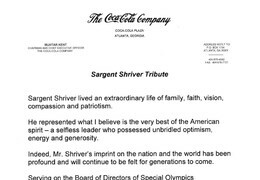 Sargent Shriver lived an extraordinary life of family, faith, vision, compassion and patriotism. He represented what I believe is the very best of the American spirit - a selfless leader who possessed unbridled optimism, energy and generosity. 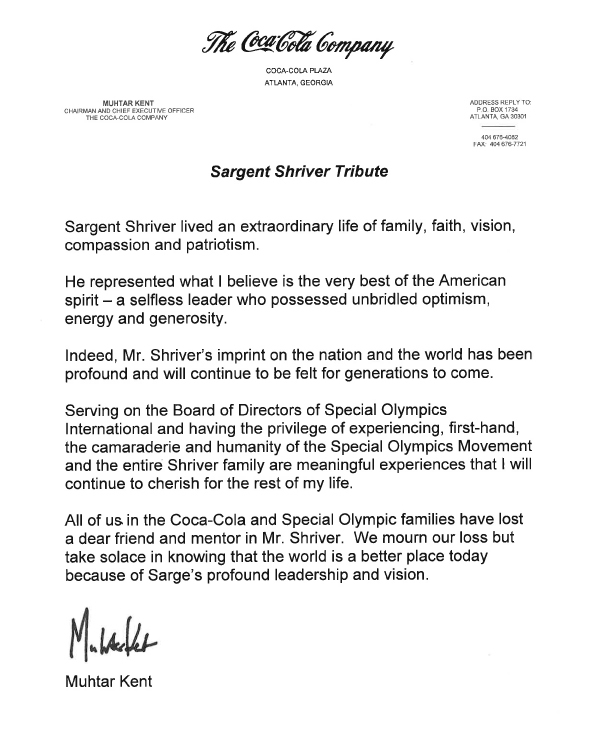 Indeed, Mr. Shriver's imprint on the nation and the world has been profound and will continue to be felt for generations to come. Serving on the Board of Directors of Special Olympics International and having the privilege of experiencing, first-hand, the camaraderie and humanity of the Special Olympics Movement and the entire Shriver family are meaningful experiences that I will continue to cherish for the rest of my life.